Israeli state officials on Saturday confirmed that Israel has started easing restrictions on civilians in Gaza in accordance with the ceasefire understandings. Meanwhile, Hamas' Deputy Politburo chief Mousa Abu Marzook said Hamas won't stop making weapons in Gaza or smuggling them to the territory. A cease-fire has held so far, and Abu Marzook told AP that more indirect talks between Israel and Hamas are set for Monday. "These weapons protected us and there is no way to stop obtaining and manufacturing them," he said in an interview at his office on the outskirts of Cairo. 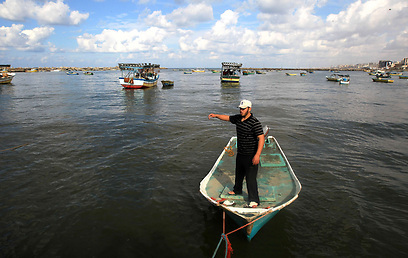 Gaza residents said Saturday that Israel has eased some border restrictions, allowing farmers to visit land near its security fence and letting fishermen head further out to sea. The truce is to lead to a new border deal for Gaza, with Egypt hosting indirect talks between Israel and Hamas. Israel has shunned Hamas as a terrorist group and refuses to negotiate with it directly. On Saturday, fishermen were able to sail six nautical miles out to sea, or double the previous limit, said Mahfouz Kabariti, head of the local fishermen's association. He said several fishermen already made the journey Saturday. "This is an opportunity and a chance for a better catch, though it is still a limited area," said Kabariti, who represents some 3,500 fishermen. 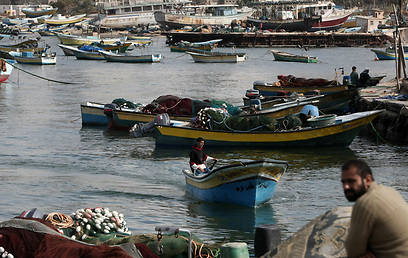 Israeli state officials confirmed that the sailing limit had indeed been doubled. Israel's military carved out a 300-meter-wide zone several years to try to prevent militants from sneaking into Israel. On Saturday, 42-year-old farmer Nidal Abu Dakka said soldiers stood and watched as he and others moved close to the fence. Abu Dakka, speaking by phone, said he was inspecting his land, some 60 meters from the border, and planned to plant wheat and barley soon. In other border areas, residents said Hamas police kept them away from the fence. A defense official said the IDF was no longer enforcing the no-go zone, but reserved the right to act against suspicious people. Also Saturday, tens of thousands of Gaza children returned to school for the first time since fighting ended late Wednesday. Operation Pillar of Defense claimed the lives of 156 Palestinians, including 34 children. See all talkbacks "Israel eases Gaza border restrictions after truce "